How can I create a lead? o access your RUN leads, click on Lead List on your navigation tool bar. 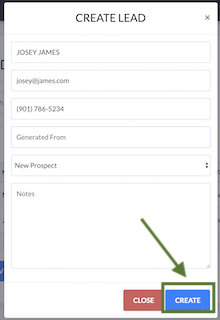 Your leads are added to the list when they opt in by providing their contact information on a form or when you create a lead yourself. 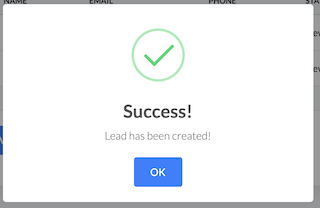 To create a lead, click on the Create Lead button. Should you not wish to create a lead at this time, click on Close. If you wish to create a lead, complete the form and click on Create to have the lead added to your list. 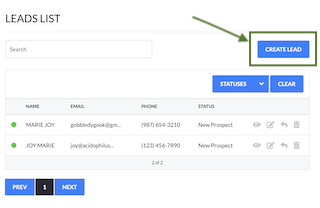 Your lead will now be added to your Lead List with the contact details you provided. NOTE: See the related articles about managing your leads.